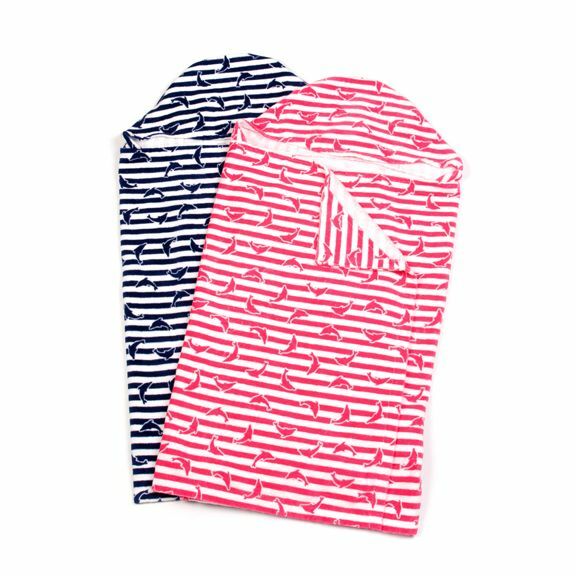 Your little one will love wrapping up in this Dolphin striped hooded beach wrap towel. You’ll love the soft touch 100% cotton loop terry for drying and ultra soft velour terry outside for snuggling. Generously sizes for drying or sunning after a swim.